Credit Suisse is newly out with a huge report on its outlook for 2015, and among its 10 best trade ideas for next year: short gold. 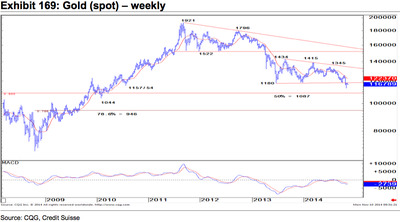 The firm’s technical analysis team puts a price target of $US950 on the precious metal for the end of next year, and Credit Suisse’s David Sneddon says that from a technical analysis standpoint, and his team that gold’s recent break below $US1,180 confirmed a bearish “triangle” continuation pattern. Here’s the technical chart from Credit Suisse. 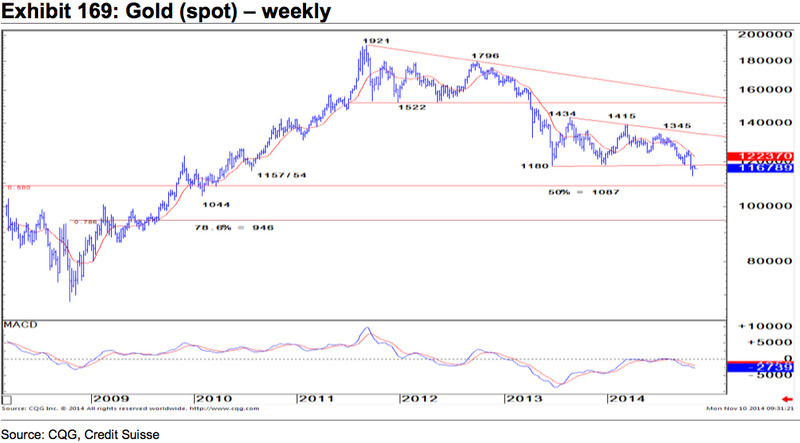 And continued strength in the US dollar should also keep gold under pressure, the firm writes. Credit Suisse, elsewhere in its research report, also argues that equities have become a hedge against inflation, a role that was typically assigned to commodities and particularly gold. 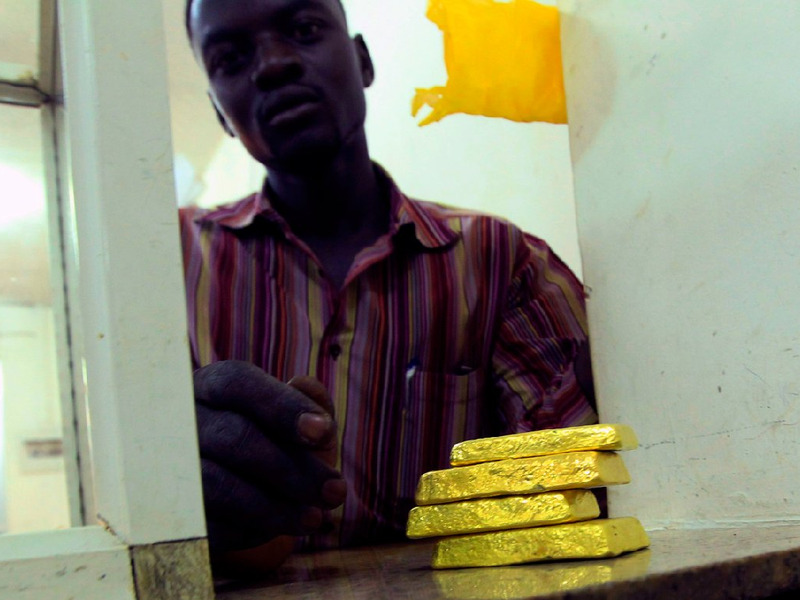 Amid the recent decline in gold, Credit Suisse isn’t the first research firm to say gold could be in trouble. Back in early October, analysts at Ned Davis Research said that, amid a declining “supercycle” for gold, the precious metal could be headed to $US660. A look at the long-term chart for gold and you can see that it’s been an ugly couple of years. 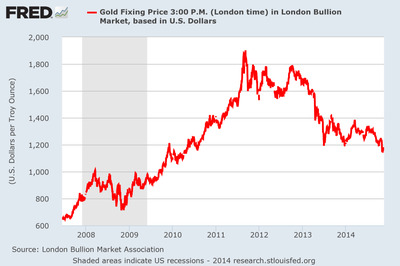 And while gold rebounded a bit late last week, the longer-term outlook for gold is less than, well, you know.